Sparbanken Rekarne provide the skills, products and services that are needed for private and commercial banking and insurance. Sparbanken Rekarne has certified and licensed financial advisors for both individuals and businesses. With offices in Eskilstuna, Strängnäs and Mariefred, the bank along with Sparbanksstiftelsen Rekarne are contributors in the development of the region of Mälardalen, Sweden. The Foundation provides grants for projects related to business, research, education, sports and culture. On average, nine million SEK are awarded annually. 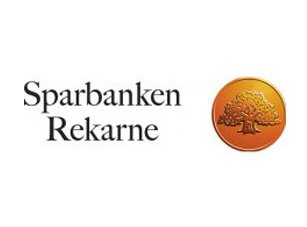 Sparbanken Rekarne is connected to and knows the local market putting its relationship with customers to the forefront. The bank dates back to 1827 with a proud history connected to a modern future facing bank. Together with the partners, particularly Swedbank, Sparbanken stays ahead of the development of bank services and technology. In this endeavour the collaboration with Mobile Life VINN Excellence Centre will provide valuable insight in the challenges that are brought on by the digitalisation of the banking industry, with Sparbanken Rekarne taking a leading role.